A ripe melon should smell sweet at the stem and feel heavy for its size. Half, seed and slice melons. 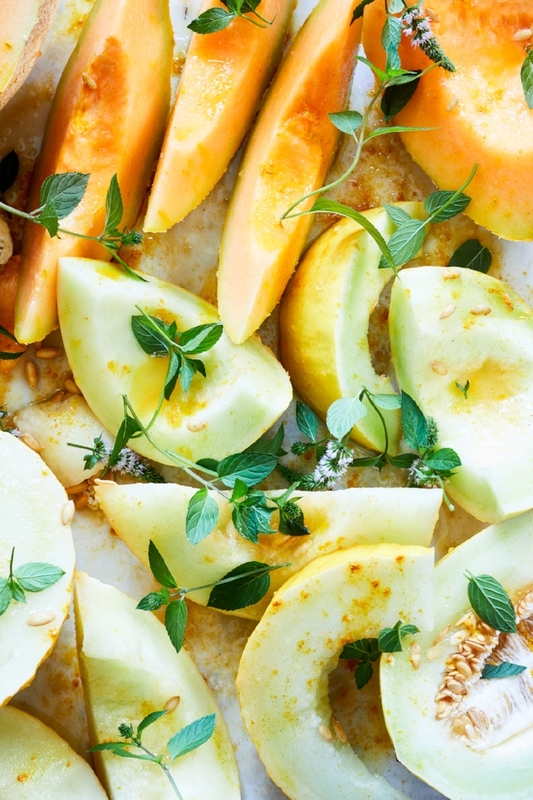 Mix juice of 2 limes with a tablespoon of honey and drizzle over melon wedges. Sprinkle liberally with sea salt and turmeric and a large handful of mint leaves.